Glyceryl caprylate has moisturizing and refatting properties. This will help to improve and maintain the moisture and balanced environment of the skin. Furthermore it can help to combat skin impurities thanks to its strong activity against Propionibacterium acnes. Due to its surface activity, it can be used as a co-emulsifier in interesting product concepts like PEG-free oil baths. 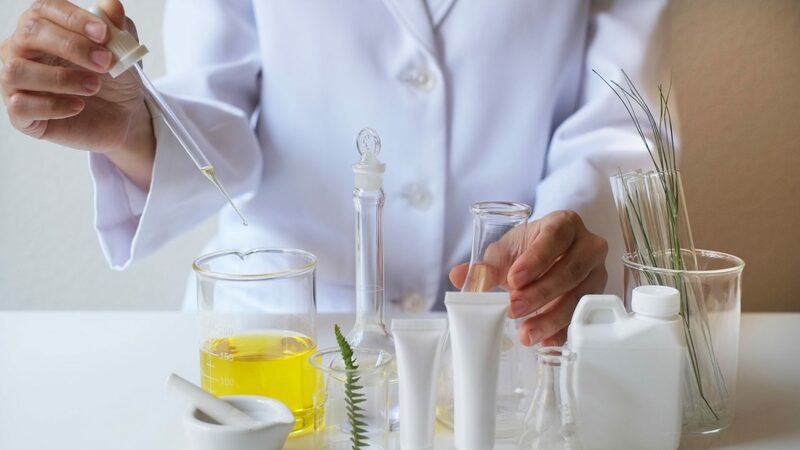 And finally, in combination with other preservatives such as Dermosoft 1388, the strong antimicrobial activity of GMCY can convert most cosmetic formulations in self preserving products – with no further need for traditional preservatives. GMCY combines very well with Dermosoft 1388 and Dermosoft OMP and allows the formulator to reduce the amount of the two ingredients. And with its low usage rate is very cost effective. GMCY has a high efficacy against microorganisms in a broader range of pH compared to many other compounds. In emulsions the raw material can be mixed with the aqueous phase or with the oil phase. The solid material already melts at 30 °C. However, preferably it is simply dissolved in the aqueous or oil phase at higher temperatures (80 °C). Please make sure when dissolving this ingredient that the pH is not higher than 7 to avoid hydrolysis. With a recommended use concentration of 0.3 % to 1.0 % it can be easily used in emulsions, surfactant based products and hydroalcoholic products. In some cases GMCY can have an impact on emulsion viscosity and stability. Please check stability issues carefully. GMCY is soluble in surfactant based products and hydroalcoholic products. In aqueous formulations the addition of solubilizing agents or glycols may be necessary. Usage Rate: 0.3% to 1% (We recommend 0.3% in emulsions). Using GMCY above 0.3% may destabilise emulsions.